Uniqueness, Individuality, One-of-a-Kind – BUZZ words that make our hearts sing! Every home should contain moments of discovery and showcase WOW pieces punctuated with flair and creativity. LOUDERCanary shares interior design inspiration and resources, blending vintage pieces with curated selections from today’s amazing furniture and accessories collections. Create a conversation starting compelling interior story that makes you smile and is uniquely YOU. The elegance of lavish luxury travel from the days of the Orient Express connects to your soul. An opulent living room filled with beautiful things, think lacquer, Chinoiserie, decadent fabrics and rich layered patterns would be the ideal spot to end your day. Agatha Christie’s “Murder on the Orient Express” is your go to novel when you want to escape to the world of dark secrets and intrigue. You prefer overstuffed comfort as opposed to functional minimalism, no Eames chair for you – of course you still sip champagne in a tall fluted glass, not one of those short stubby ones! 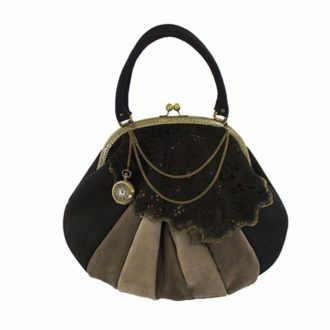 Custom handbag, leather, suede, silk, made to order from Cyprus. 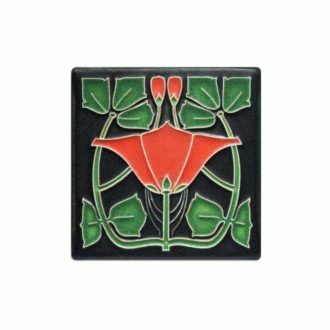 A striking Art Nouveau inspired polychrome tile. Artfully crafted by hand. 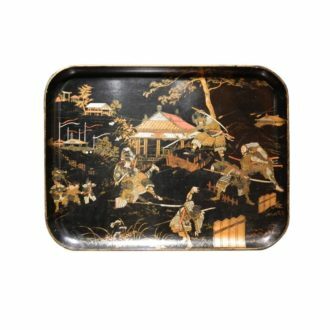 Striking 19TH Century decorative tray constructed from papier mache. 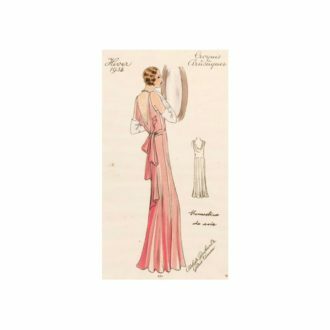 Hand-colored lithograph of a winter fashion design by Atelier Bachwitz, an Austrian Couture House. A versatile decorative object for any library or study. 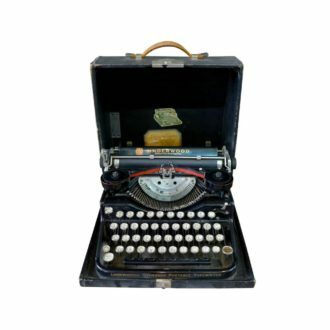 This typewriter from 1929 adds visual interest to any tabletop arrangement. 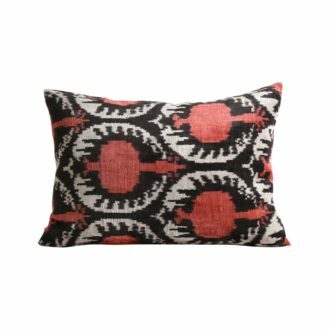 Add a vibrant hand dyed, hand woven pillow made for centuries along the Silk Road in Central Asia.